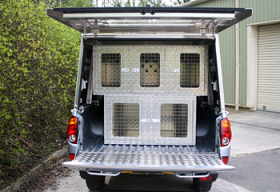 Aluminium Dog and Gundog Crates provide the strength and durability serious gundog owners look for when selecting a Gundog Box. 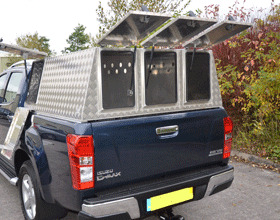 Our Aluminium Dog and Gundog Boxes are pre-fabricated and ready to transport your hunting dog in the back of your pick-up truck or SUV. 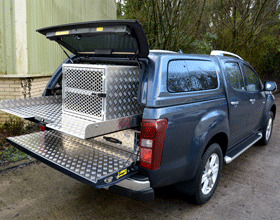 When selecting an aluminium Dog Box you should select a model large enough for your puppy or dog to stand up, turn around, and lie down with a water bowl. 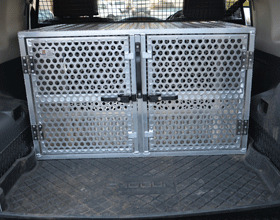 We fabricate Dog and Gundog crates to fit just about every need. 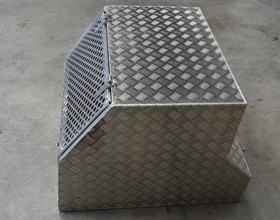 We have all styles and sizes of dog boxes specifically designed to fit any dog from the largest to the smallest canine. 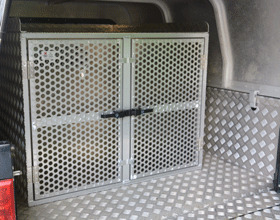 What size Dog Crate should I purchase? 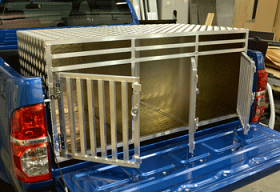 Dog boxes come in many types and sizes. 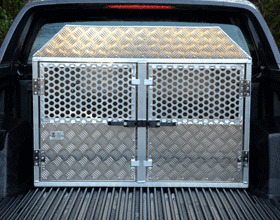 Typically the height and length of your dog will determine what size dog box you should purchase. 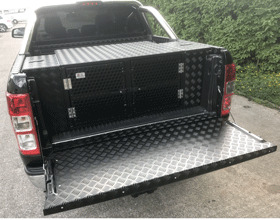 The ideal size should enable your dog to stand up, without ducking his head below his shoulders and allow your dog to lie down and stretch to his full body length without being cramped. 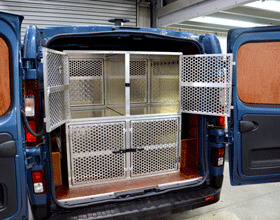 Our dog boxes can be fabricated with lockable storage compartments for your guns, and a separate compartment to keep your ammuntion safe and away from the prying eye. 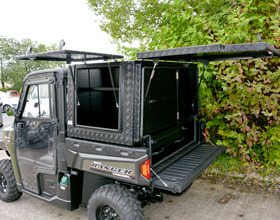 Whatever your Dog and Gundog box needs are, we'll do our best to match our products with your requirements, just give our experienced sales team a call on 01200 429955!